Sultan’s Lysol I.C. Quaternary Disinfectant Cleaner 74983 is a concentrated, effective cleaner and disinfectant that kills odor causing bacteria. This highly concentrated, cost effective formula dilutes at 1:256 and is Virucidal, fungicidal, and bactericidal. Sultan’s 74983 Disinfectant Cleaner is effective against HIV-1, VRE, MRSA and other gram-positive as well as gram-negative micro-organisms, while having a neutral pH in use. 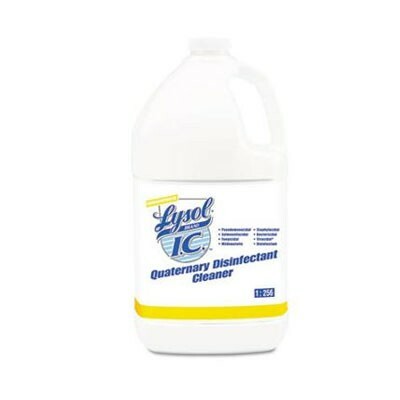 For more information on Sultan’s Quarternary Disinfectant Cleaner 74983, please visit www.sultanthc.com. Sultan Healthcare is dedicated to providing the global healthcare community with innovative products and fast, reliable service. Our on-going commitment to research and development allows us to constantly offer you our own exciting new products. We also aggressively seek out the latest product developments worldwide and bring them to you through our international distribution alliances and exclusive product acquisitions.